The story of the relationship between the most devastating heavyweight boxer in history and the mentor who made him. When legendary boxing trainer Cus D'Amato saw thirteen-year-old Mike Tyson spar in the ring, he proclaimed 'That's the heavyweight champion of the world'. D'Amato played a huge role in Tyson's formative years, legally adopting him at age sixteen, and shaping him both physically and mentally after years of living in poverty. He would train the young boxer for several years, dying just months before Tyson became the youngest heavyweight champion in history. 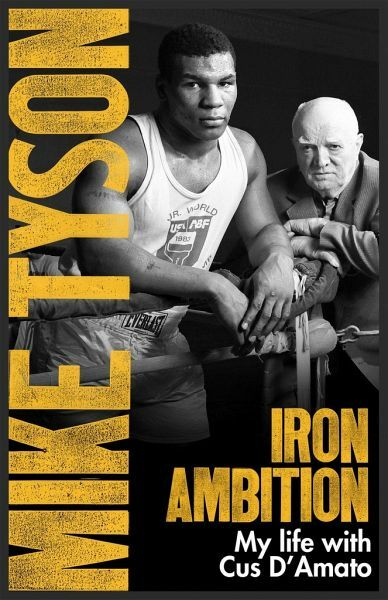 In Iron Ambition, Tyson shares the life lessons that D'Amato passed down to him and reflects on how the trainer's words of wisdom continue to resonate with him outside the ring. The book also chronicles Cus's courageous fight against the mobsters who controlled boxing, revealing more than we've ever know about this singular cultural figure.